You’ve been hearing about it for some time now. You’ve seen the posts on Facebook and LinkedIn. Maybe you picked up some swag at the APHA booth. You’ve seen the logo on the back of Global Health. It seemed like an event coming…someday. Is for alumni we haven’t seen in a long time. For alumni we see all the time. For faculty, staff, and students. Former faculty and deans. For friends of the school. In short, it’s for everyone who has been touched by the oldest school of public health in the country. We are the first school to be celebrating this milestone. You wouldn’t want to miss that, would you? Centennial is the can’t miss event of the year! A chance to reacquaint yourself with former faculty and catch up with classmates. A Homecoming Reception at world-famous Rock ‘n’ Bowl. A stellar symposium on some of the major global health issues of the day. And an awards gala in the heart of the French Quarter designed to pave the way for the next generation of SPHTM students. PLUS we will be offering continuing ed credits! Registration is now open. Just visit http://tulane.edu/cce and select our event. You can also visit www.sph.tulane.edu/centennial to access that link or to download a brochure. Mail/Fax registration is also available. We have reserved rooms at the charming Hotel Monteleone. 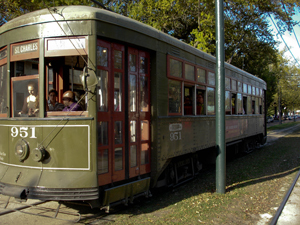 Access to both events and the French Quarter is easy from this centrally located hotel. Our exclusive reservation link is http://tinyurl.com/sphtm100res. This entry was posted in Sring and Summer 2012 and tagged global health, Global health program, Global health research, hotel monteleone, International health research, tulane school of public health and tropical medicine. Bookmark the permalink.